This winter, travellers departing from Montréal, Canada, will have more options than ever to discover Martinique. Norwegian Air has inaugurated non-stop flights on Tuesdays, Thursdays and Saturdays at 14:25 from Montreal Pierre-Elliot-Trudeau International Airport to Martinique Aimé Césaire International Airport. “We are extremely excited to add a new route between Montréal and Martinique, as we continue to grow our French Caribbean network. “Montréal is also our very first Canadian destination, and it made perfect sense for us to start entering this new market by connecting Martinique to Montréal adding this very important North American gateway to our already popular and successful routes from New York and Fort Lauderdale. “This week we are also launching direct flights between Fort de France and Cayenne in French Guiana, further strengthening our commitment to Martinique. “We look forward to another successful season, which would never have been possible without the strong support of the Martinique Tourism Authority,” said Anders Lindström, director of communications, Norwegian Air, North America. 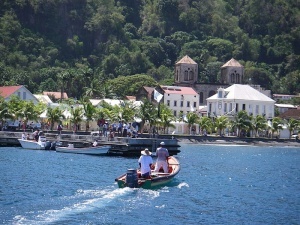 The French Caribbean island of Martinique is also known as the Isle of Flowers and the Rum Capital of the World and ranks among the most alluring and enchanting destinations in the world. “Our board of directors, hoteliers, tour operators and other industry partners of the Martinique Tourism Authority are delighted by the new connection provided by Norwegian Air between Montreal and Fort-de-France. “This service which also opens with a connection to French Guiana is an exceptional opportunity to develop travel for Canadians to our island as well as to Cayenne. “I would like to add, that with a 49 per cent growth already recorded in advance bookings for the coming season, the Canadian market is more than ever a priority,” said Karine Mousseau, Martinique tourism commissioner.